Today the office was in a free and festive mood what with Pongal just around the corner. This year the celebrations were a little grander than usual, there was a nice little Pooja conducted, staff came forward to entertain their colleagues with melodious songs; the ambience was pleasant. Solomon belting out Kannadasan hits! After a short prayer, sweet pongal was distributed. 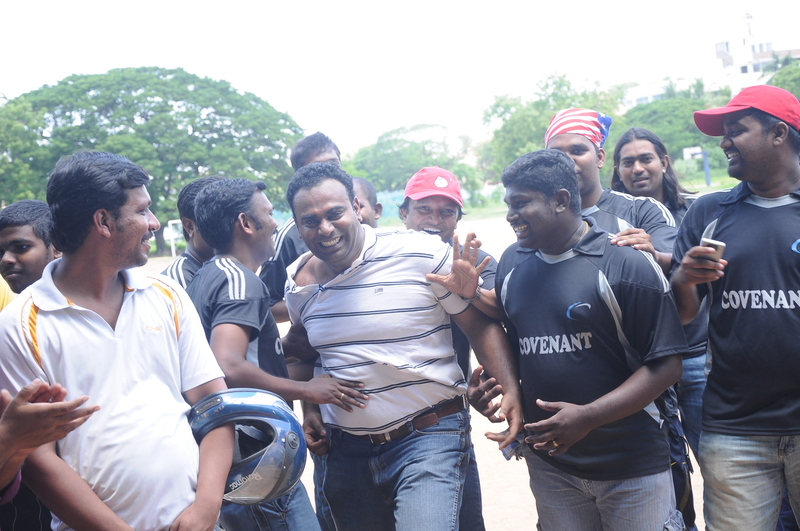 Amidst the celebrations, there was a sugarcane breaking competition where all the He-men of AscendersTech proved their prowess much to everyone’s delight.The competition was initiated by our CEO Dr. Thiru. There was a lot of cheering as each He-man tried to outdo the other by employing various techniques to break bunches of sugarcane. We had bits of sugarcane flying around with each resounding crack; someone actually began to crush the juice out of his sugarcane! Juice sprayed across the office amidst loud applause. The Vaetti / Vetti Gang! Boisterous Bala at his best! Ansar showing off his might! A resounding crack for Dilli! A call for open arm combat! ...and Maria Suresh chickens out. Manju does it Karate style! Bangles and flowers were distributed to the women folk of AscendersTech; everyone got a taste of the traditional sweetmeats procured by HR & Admin just for the occasion. It was a loud and jocular occasion where our CPO donned the role of a solemn priest at the beginning of the celebrations and then switched over to his excellent HR persona where he highlighted the fact that all the songs sung during the occasion had been Krishna lyrics; and this only symbolized that Krishna being a universal and master strategist, this year would be a year of Strategy for Ascenders Technologies! 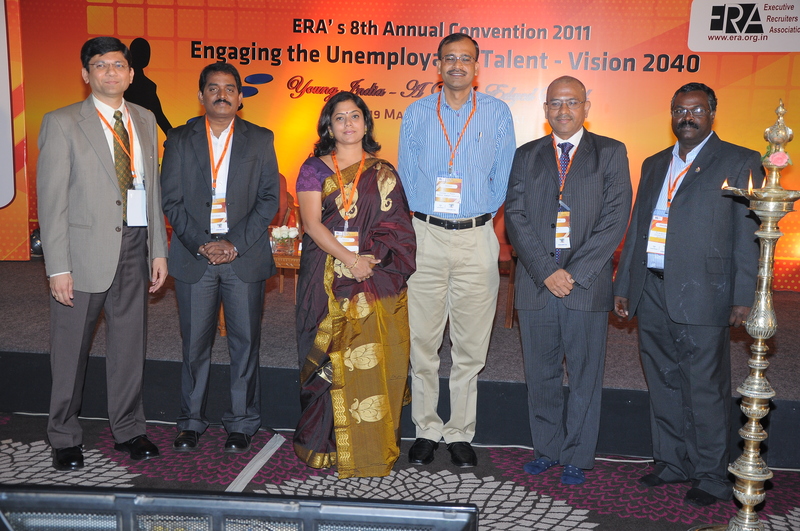 As the very theme suggests the ERA Annual Convention dealt with ‘Engaging the Unemployed Talent’ was a concentrated effort to bring together some of India’s best minds to provoke thought on one of the biggest paradoxes of our country. On the one hand, we are in no dearth of ’employable youth’. But this fact remains mere ‘data’ because in reality, the said youth are not always the ideal choice of the organizations and businesses which desire to engage and utilize educated/ skilled youth. 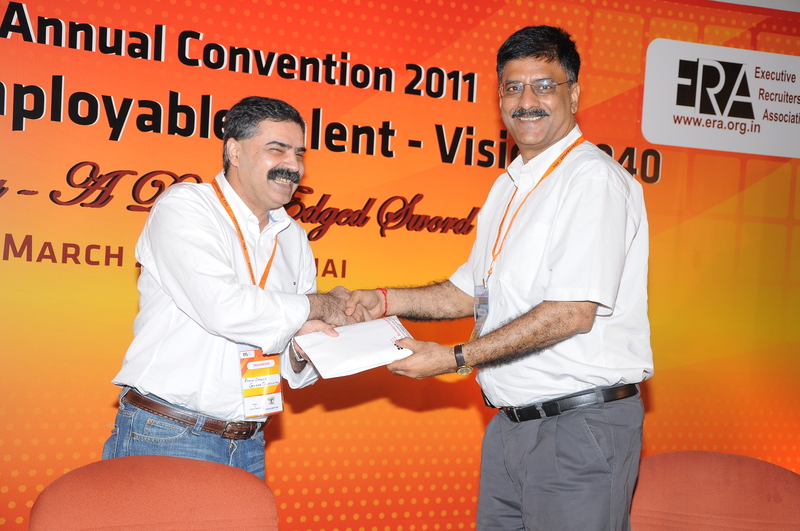 The sole objective of this convention is the uplift of this vast section of society whose amazing talent and prowess (usually unrecognized because of factors such as amateur soft skills) can be tapped and exploited to benefit themselves, the corporates and subsequently the nation as a whole. It was envisaged that through this convention, the leaders on the dais and those in the audience would be positively sensitized to the plight of the youth and would step up to the daunting task that they are faced with! The youth of India need to be empowered with all the required knowledge and skills to realize India’s potential to become a superpower; else the same youth might well be reduced to a potent tool in the hands of misguiding, degenerative forces that work against the interests of a progressive, developing India! The ERA Annual Convention, in other words, was a call to all the leaders to join forces and do their bit towards nurturing the future generations and, in the process, fortify our country with the power of youth with all its magnificent capabilities. We as ERA members realize that it is high time for us facilitate the entry of our talented resource pool so that they carve out their own niches as responsible sons and daughters of the nation. 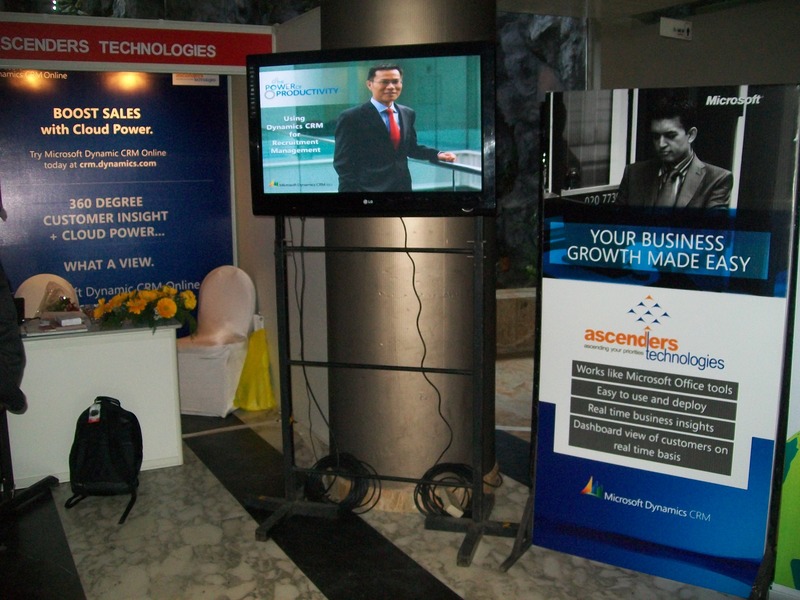 The AscendersTech stall - Dynamics CRM for Sale!!! Business Development Executives prowled the floor outside the auditorium and scanned the crowds for potential business deals. 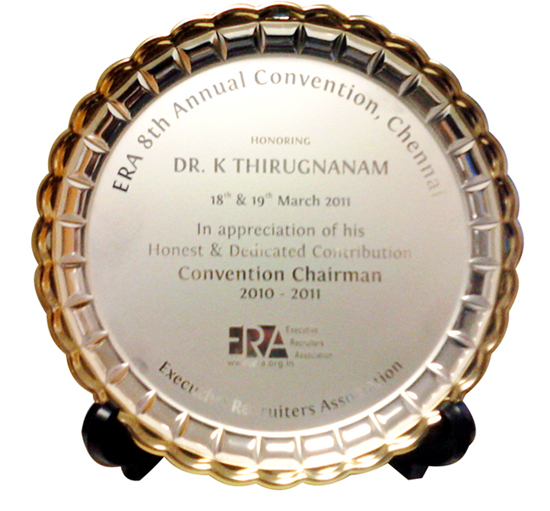 The Inaugural Session was comprised of the Welcome Address given by our CEO, Dr. Thiru who also happens to be the Convenor – ERA Chennai Chapter as well as the Chairman of the Annual Convention. 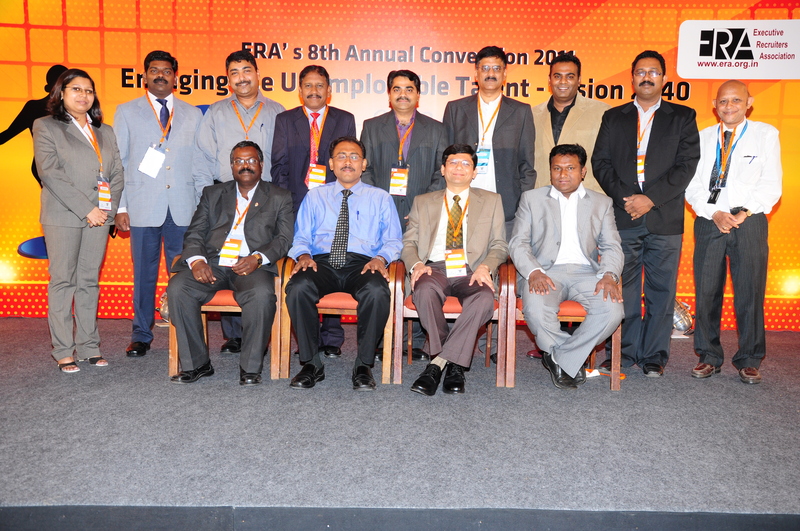 Dignitaries such as Mr. Veerendra Mathur, the Chairman of ERA, Mr. K. Purushothaman, Regional Director, NASSCOM, Captain Suresh Bhardwaj, Vice Chancellor, AMET University graced the occasion and Mr. Ayaz Mohammad, the Co Convenor of the ERA Chennai Chapter presented the concluding remarks. 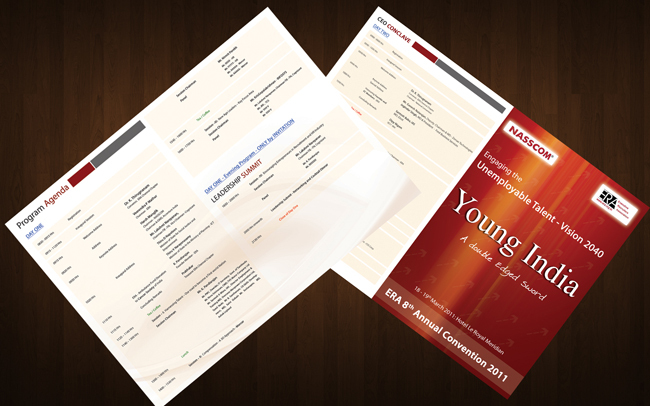 After the tea break, the convention got rolling with the serious business of knowledge sharing ses sions. 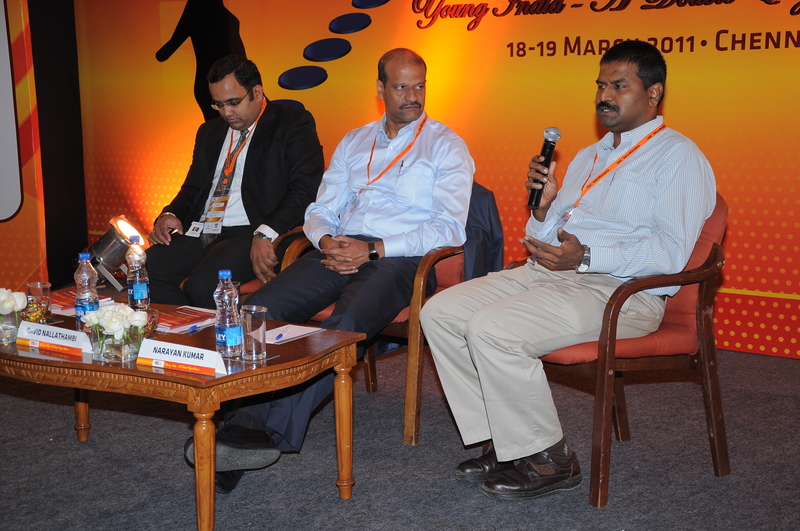 The very first session of the day was on ‘Harnessing Talent – Our March towards the Lead’. 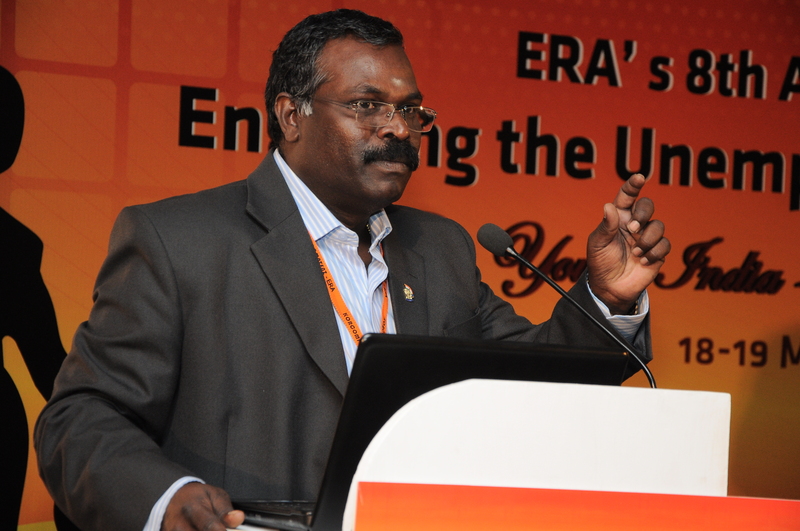 This interesting session was chaired by none other than the renowned Mr. K. Pandiarajan, the Chairman of Ma Foi Randstad and also, one of the founding members of ERA. His panel consisted of Mr. Santosh K. Misra IAS, Director, Employment & Training and also the MD, Overseas Manpower Corporation. 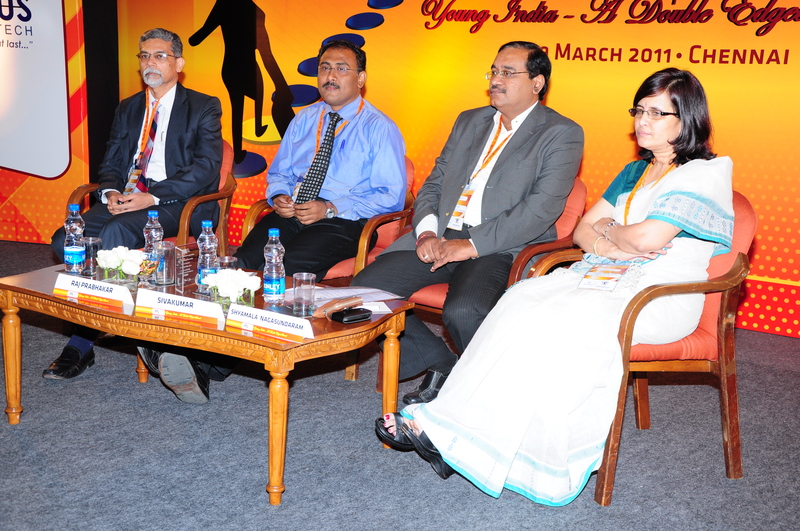 Another leading personality on the panel was Ms. J. Sabita the AVP – HR of Steria India. 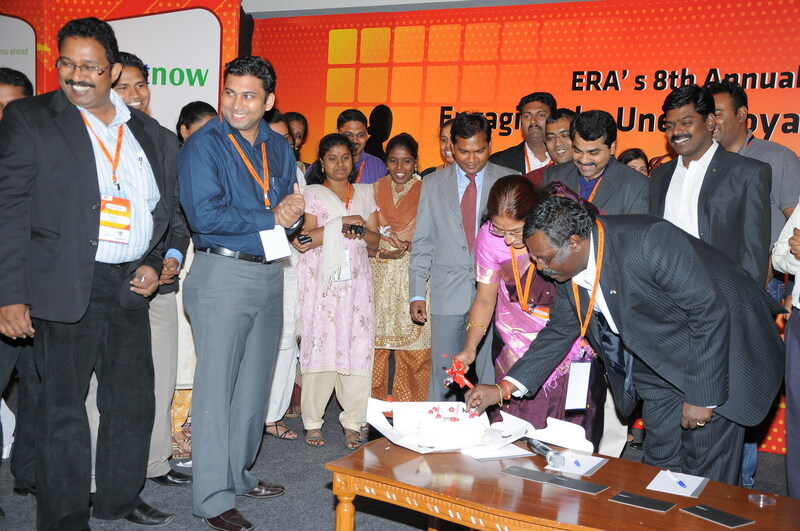 An ERA CSR activity took place to the delight of all the ERA members and the guests for the day. A whopping amount of nearly two lakhs had been collected at the spur of the moment last year during the Annual Sports Meet when we had announced the auction of all the sports items bought for the purpose. 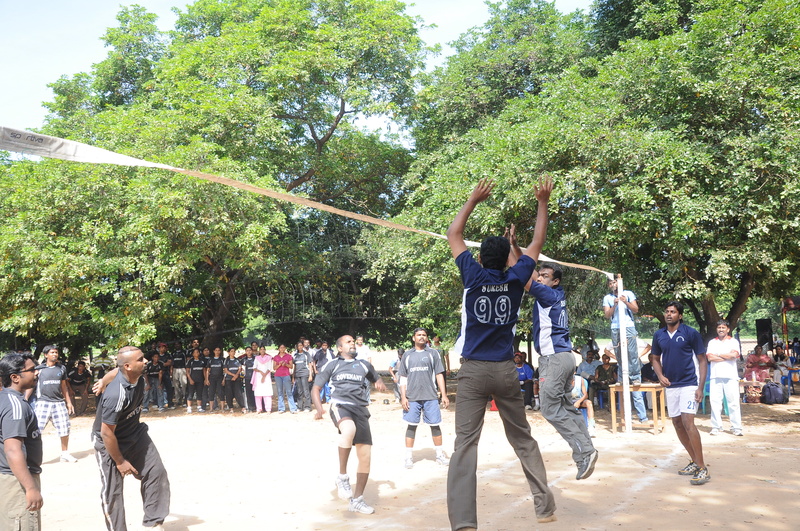 The fun and frolic that we had experienced then can be recollected via https://ascenderstech.wordpress.com/2010/07/05/ascenderstechera-sports-finals-2010/. This spontaneous and jocular activity had culminated in this magnificent gesture. Ms. Shanta of the Cancer Society was present to receive the cheque which was handed over by our founding member Mr. K. Pandiarajan. 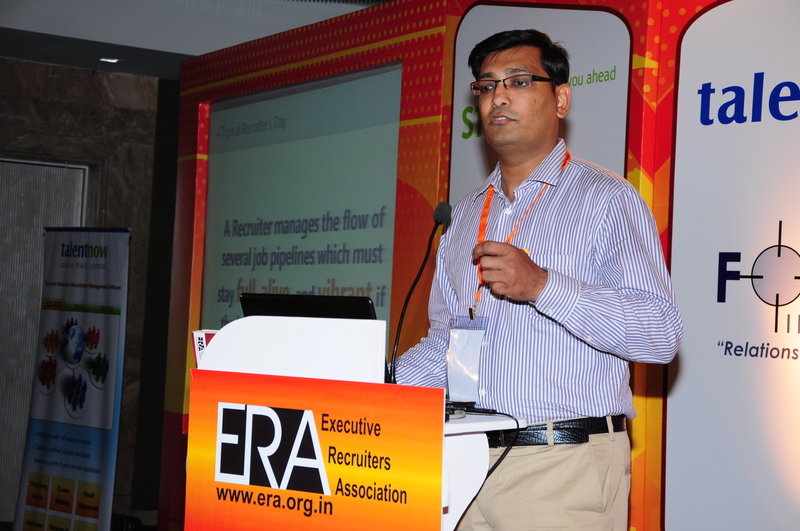 The second session of the day was of relevance to the entire Recruitment and HR community : ‘Compensation – A 3D Approach’. 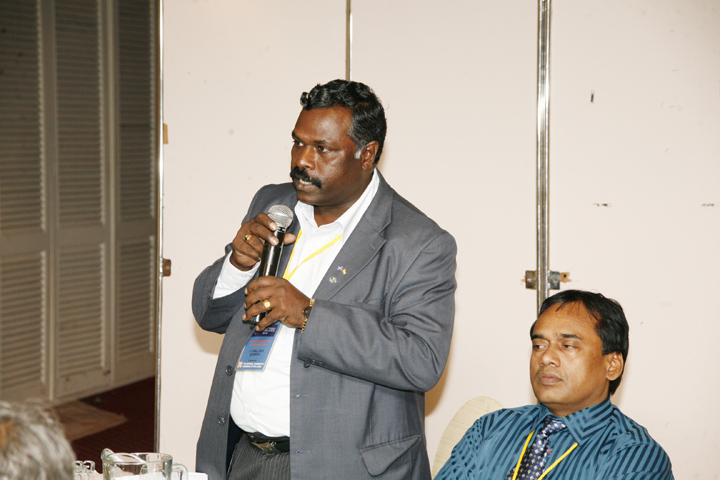 This session was chaired by the talented and witty speaker, Mr. David Nallathambi, the Senior VP & Head HR of Scope International. 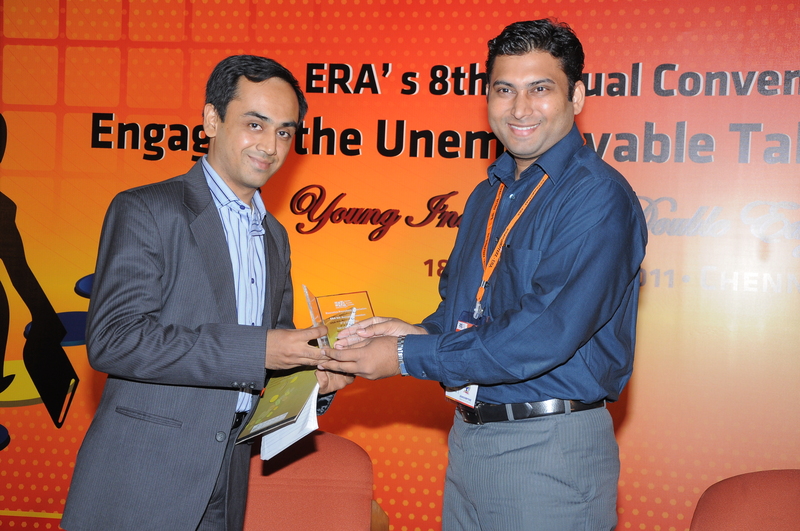 His panel consisted of Mr. Narayan Kumar, Specialist – Compensation, Motorola and Mr. Saurabh Nigam, VP – HR, Beroe Inc.
Post lunch did not see the audience yawning as we had a set of absolutely brilliant speakers all ready to take us to the next level with their topic ‘New Age Leaders – Key Focus Areas’. 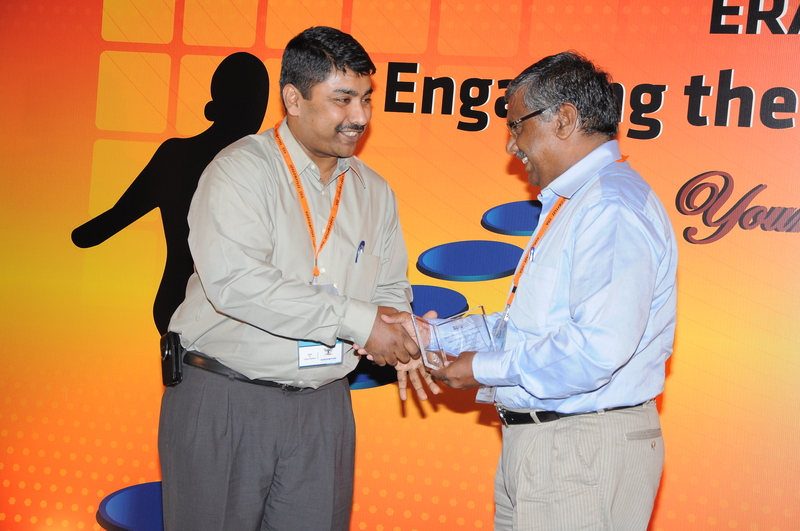 The team was chaired by Mr. K. Jayaramakrishnan, VP – Global Alliance, TCS. 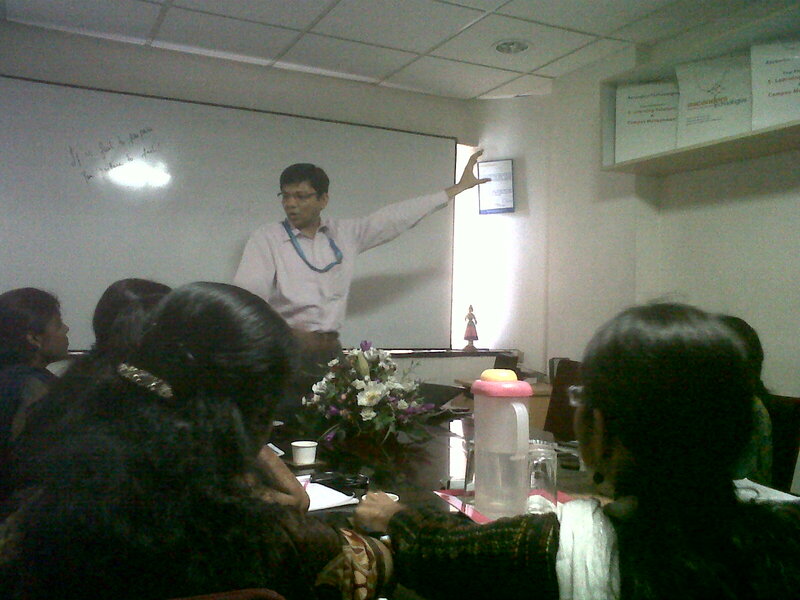 He had the audience in splits as he seriously laid down the ground rules about unwittingly nodding off during his session. He led his panel into a smooth discussion sprinkled with his comments and witticisms. The panel consisted of Mr. Subhomoy Sengupta, Group Director – Microsoft Business Solutions, Mr. Ranjith Sivasankaran, Head HR, KLA Tencor and Mr. Krishna Prasad, GM – India, Head – Chennai, UST Global. 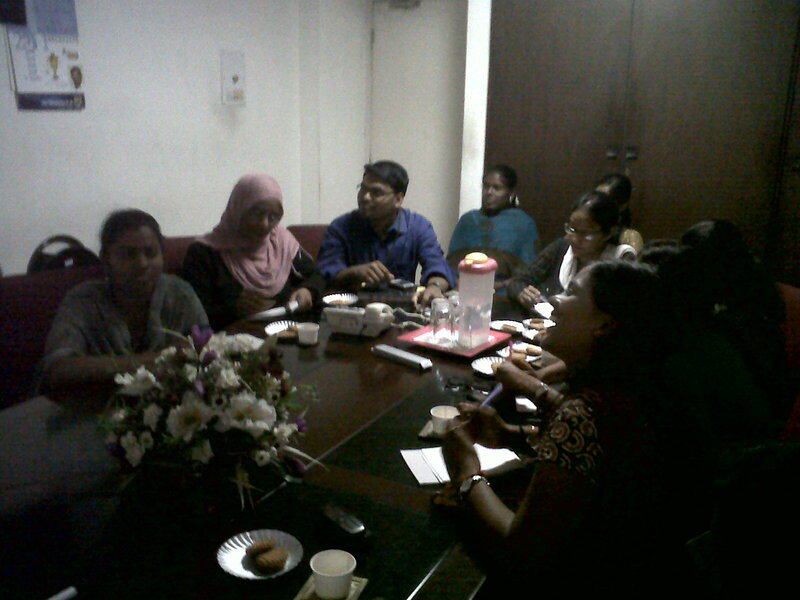 Tea was followed by Sponsors Time which had our prime sponsors Talent Now showcasing their product to a captivated audience. ‘Working smart’ is their mantra. 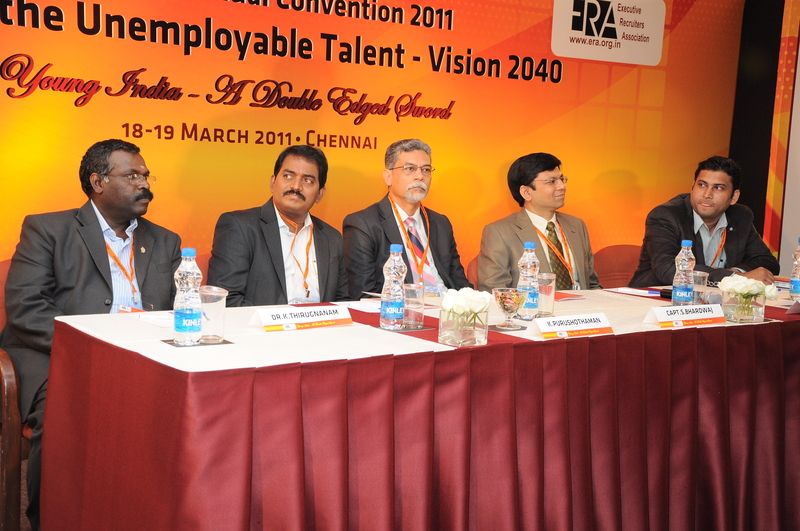 The final session for the Annual Convention had Mr. Sivakumar, CEO of the ICT Academy of Tamilnadu chairing the panel who discussed ‘Current Trends in Freshers’ Recruitment’. The panel consisted of Capt. 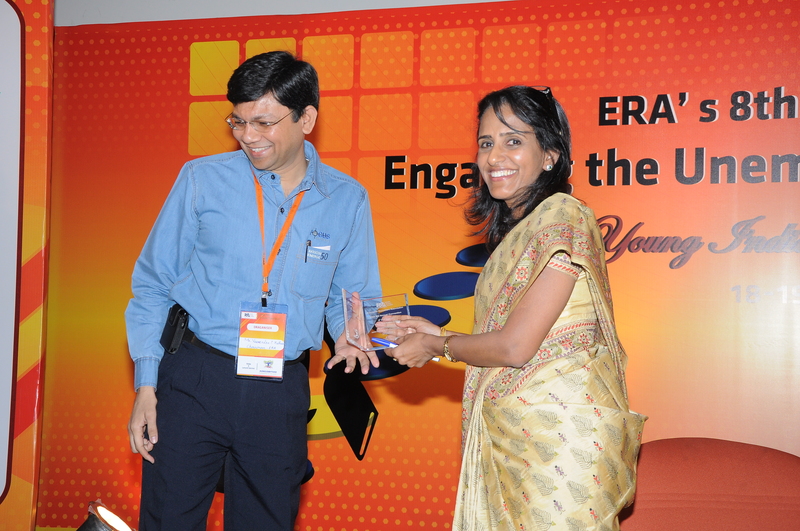 Bhardwaj, VC of AMET University, Ms. Shyamala Nagasundaram, Head HR, Logica Pvt. 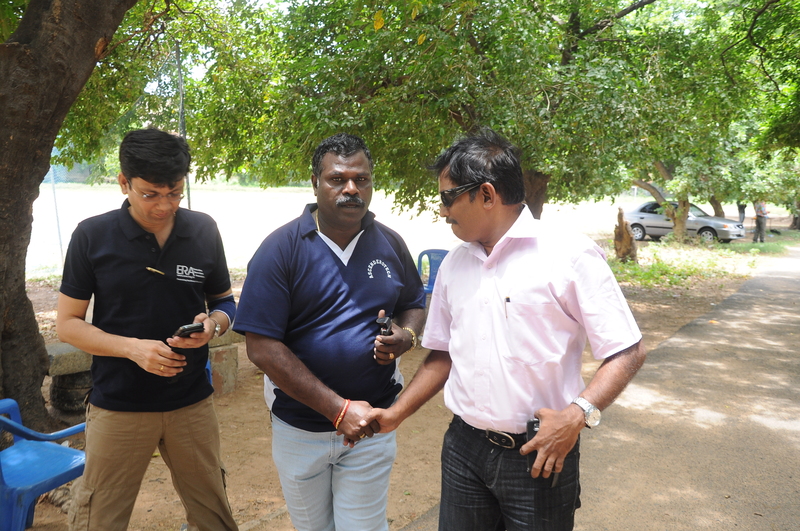 Ltd., and Mr. Raj Prabhakar, the CEO of FYMC. 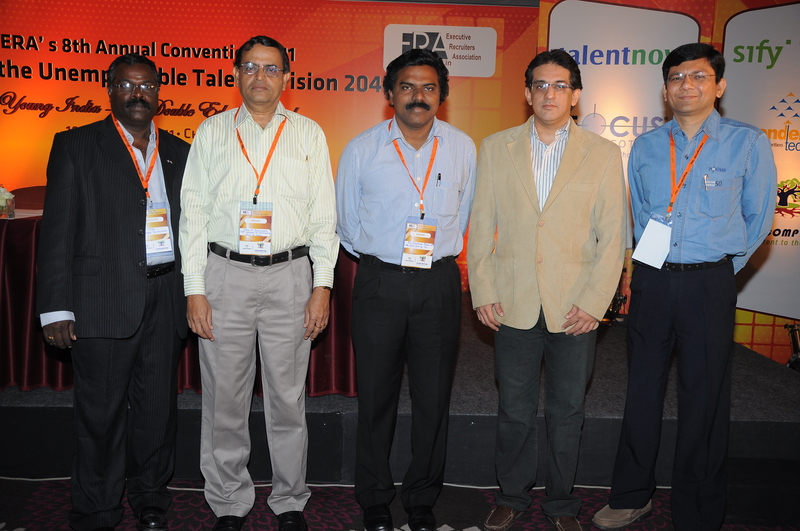 It was a fun filled session as each speaker had a unique brand of humour that had the audience begging for more. The 8th Annual Convention was followed by the 5th Leadership Summit that very same evening and was termed by general consensus, the highlight of the entire two day mega affair. 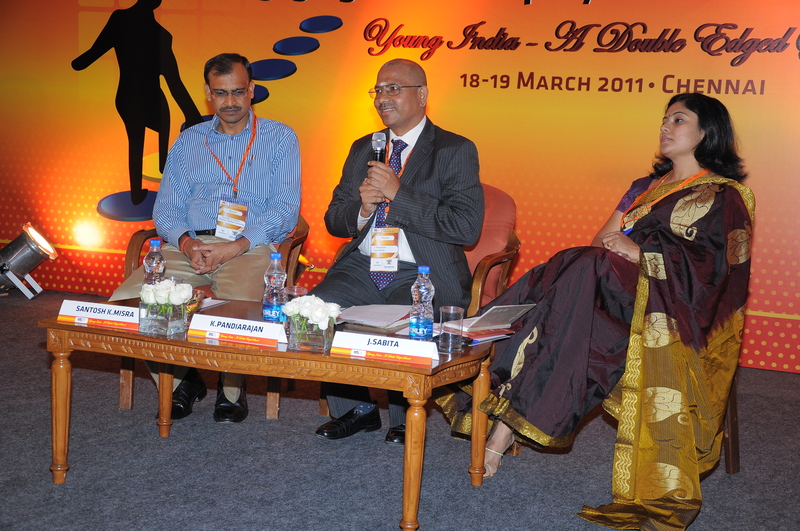 The session was titled ‘Encouraging Entrepreneurs in Recruitment and HR Industry’. 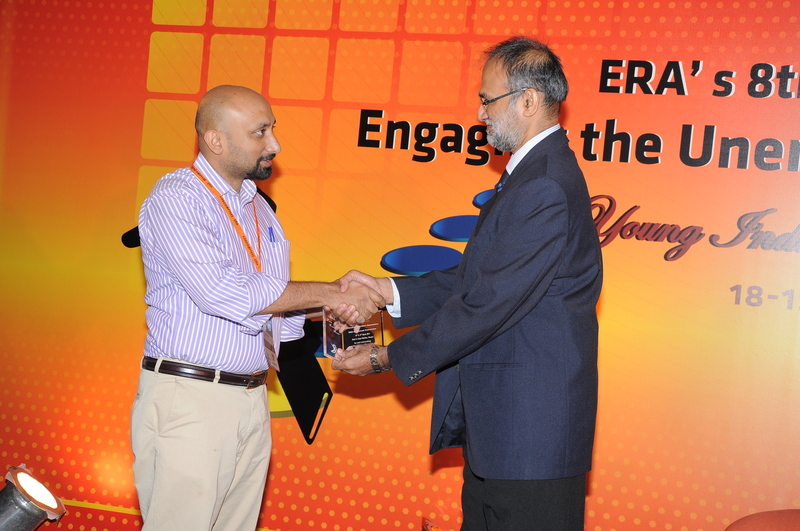 It was chaired by none other than the inimitable, one and only, Arun Jain, Founder Chairman & CEO of Polaris. 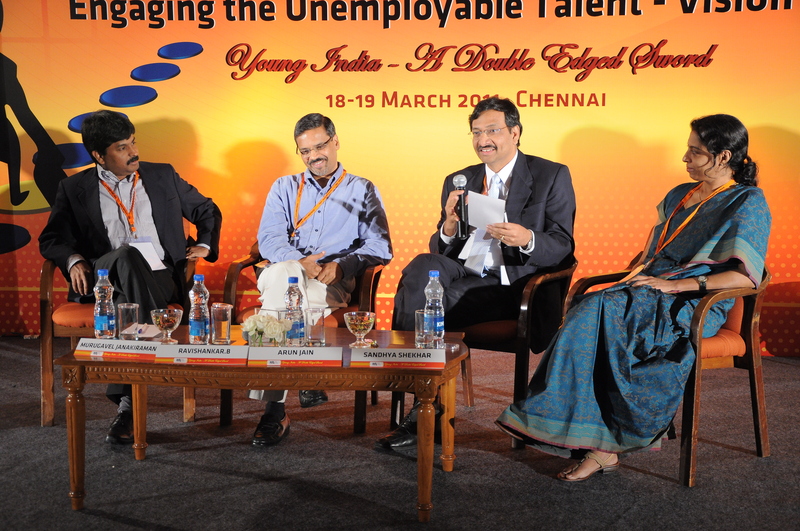 The panel was an equally illustrious group made up of Dr. Sandhya Shekhar, CEO of IIT Madras Research Park, Mr. Murugavel Janakiraman, CEO of Click Jobs and Mr. B. Ravishankar, Sr. VP – HR of HCL Technologies. There were amazing analogies created spontaneously, a well thought of presentation with facts and figures and brilliant speeches that sparkled with gems of wisdom and experience. 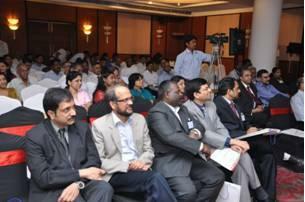 The next day was a semi casual affair marking the 6th CEO Conclave. 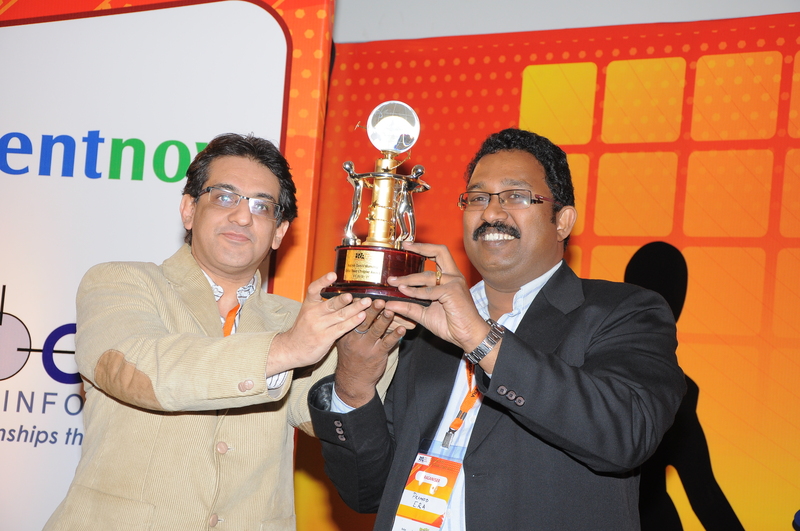 The inaugural session had Mr. Veerendra Mathur announcing the Satish Doshi Best Chapter Award. Mr. Kannan and Mr. John Quadros of Sampoorna Computers read out the touching message of Mrs. Rajul Doshi. 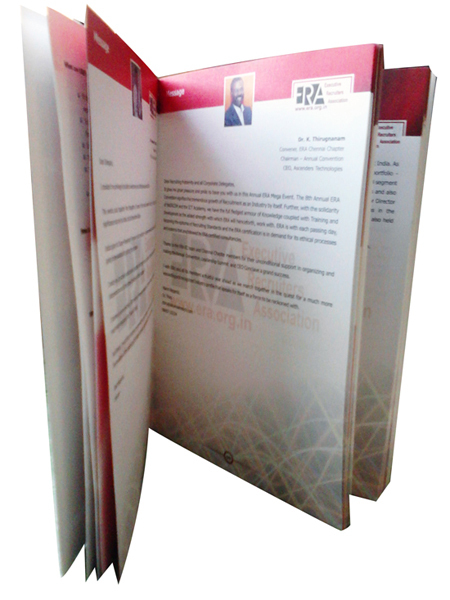 The inaugural address was made by Shri K. Srinivasan, the Addl. Central PF Commissioner from the Government of India. The key note address was delivered by the MD of ELCOT, the vibrant and energetic Dr. Santosh Babu who managed, within a span of few minutes, to share his dream and vision of a sophisticated and poverty- free rural India. 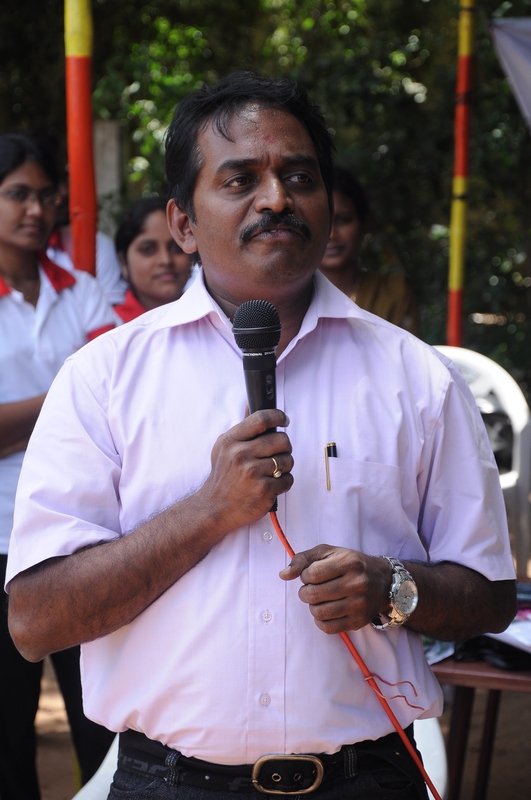 The ERA Chennai Chapter Secretary, Mr. Alexander A. Kumar delivered the vote of thanks. People, especially the organizers were in a relaxed mood and the audience was brimming with the enthusiasm of unfettered learning. And the CEO Conclave was just that: a learning marathon that had only the best instructors giving their audience (dominated by the recruiting fraternity) their money’s worth. 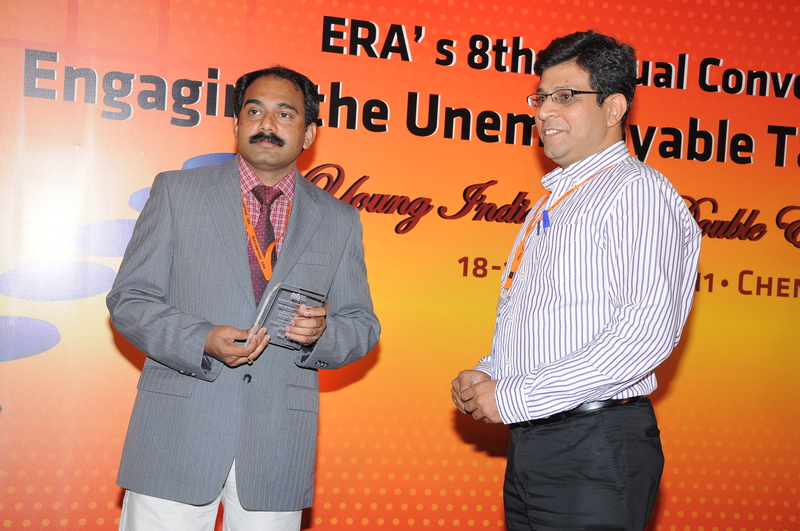 The entire two day mega event of the year was smartly summed up by the Chairman of ERA, Mr. Veerendra Mathur. People disbursed with the sense of having achieved a lifetime award! 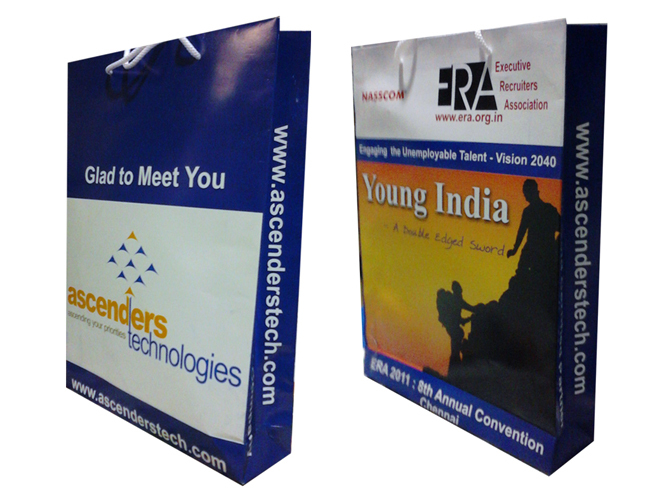 THE ASCENDERSTECH ANNUAL DAY CELEBRATIONS @ THE ERA EVENT! 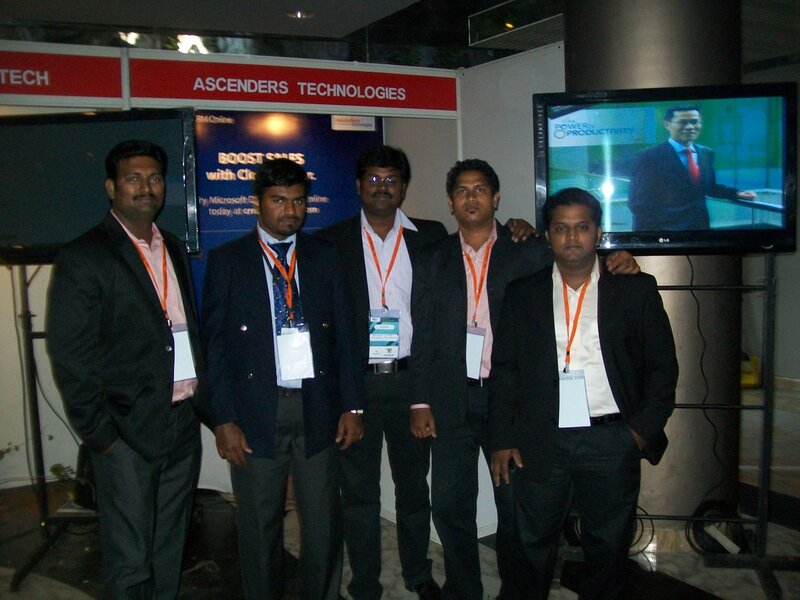 19th March saw the start of the fourth year of operations for Ascenders Technologies. It was a loud and noisy affair wherein which all our ERA fraternity got together to celebrate our remarkable milestone right after the CEO Conclave. 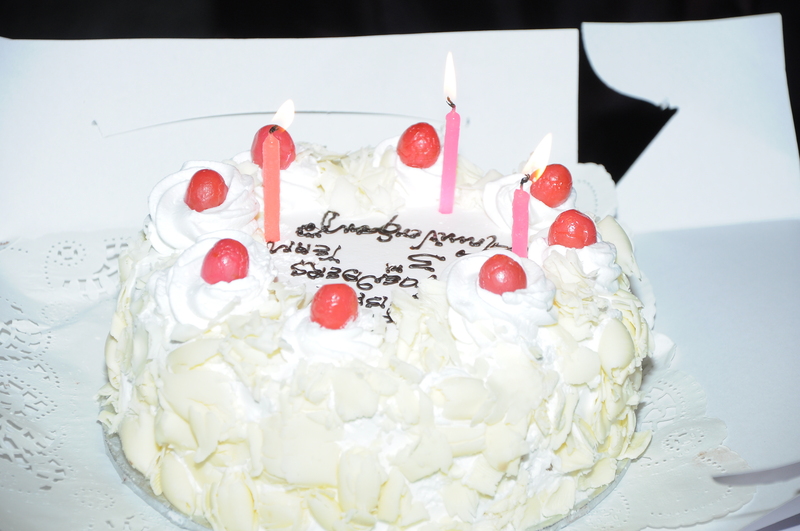 The Celebration of yet another year! 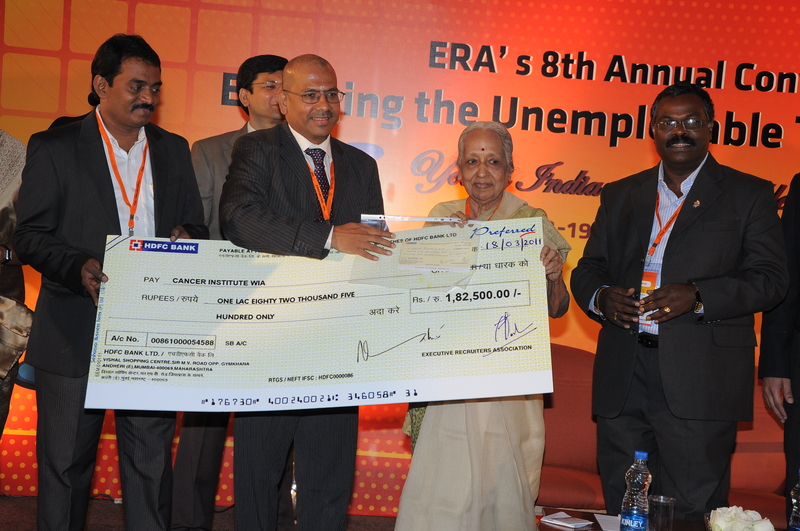 Dr. Thiru, our beloved CEO and Convenor, ERA Chennai Chapter, attended the ERA Event this year which in association with FAPCCI organized an “Entrepreneur Summit” on January 21, 2011 at Hotel Green Park. The main topics that came under the ERA scanner was the SME segment which constitutes a major chunk of Revenue in the Indian Economy and is extremely buoyant today. However it suffers from certain ills on account of issues related to size, scale, professionalism, systemic approach, funding and human capital. The Hyderabad Conference focused on these issues and gave a ring side view providing success stories of Companies which have grown and become big. By focusing on the SME segment, ERA is trying its bit to aid, guide and handhold these Companies to scale up, grow, attract talent and thereby reach their true potential. 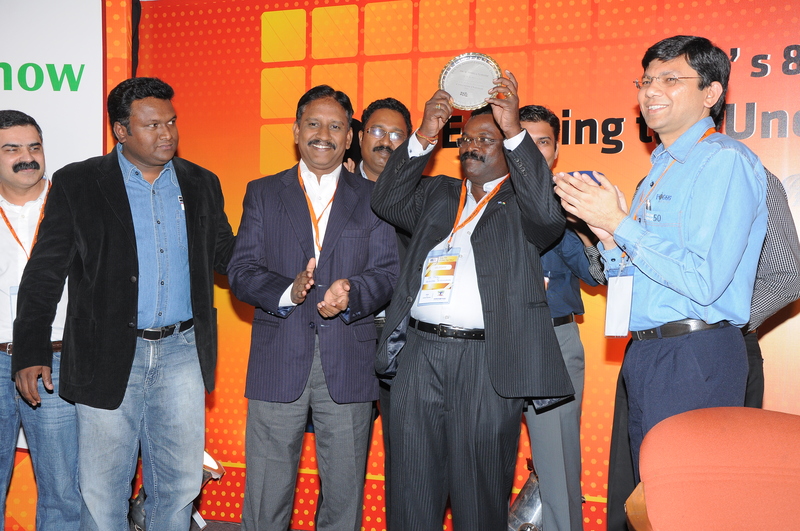 The chief guest for the event was Mr. Devendra Surana, VP at FAPCCI. The event was attended by around 200 delegates and Dr. Thiru and Mr. Veerendra Mathur, Chairman, Executive Recruiters’ Association, were available to give their valuable input. The Ascenders' Championship Trophy...ok, ok, we're the Runners! It was a beautiful morning as the ERA member organizations prepared to meet at the Pachaiyappa’s ground for the Final Countdown to the Championship Trophy. Everyone was in high spirits as they geared up for the events by warming up and practicing. There was a general hustle and bustle as people from various teams and companies came together in a pleasant camaraderie eager to get started and very excited to enter the showdown. The day started with the Tennikoit finals that had the Ascenders pitched against the Covenant team. It was a close and hard match with both teams neck to neck till the finish. Ascenders won a beautiful victory after a tense game. This was followed by Volley ball. A pending semifinal from last week events had Korcomptenz pitted against Covenant wherein Covenant had a stupendous victory thus pushing themselves forward to the finals where they played against AscendersTech. It was a long and hard game where both the teams were equally spirited and played aggressively t ill the end. Ascenders won the game amidst a lot of applause and wild cheering from the spectators. 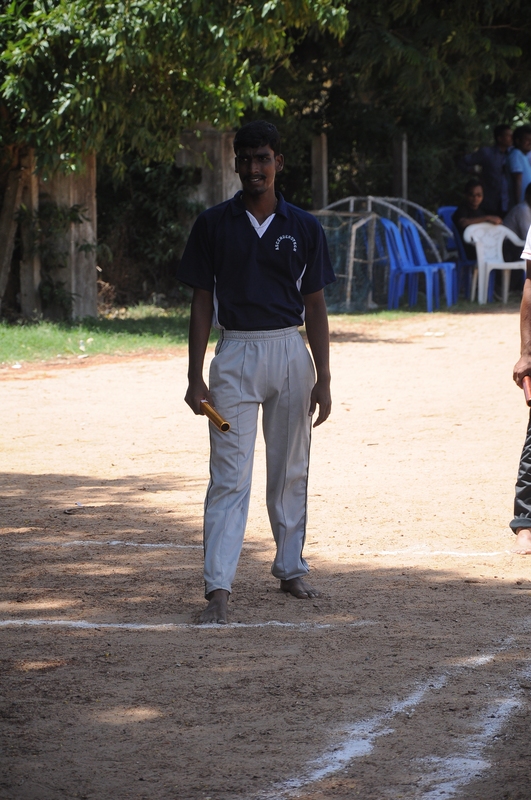 As these games took place in the sidelines, the cricket match between Sampoorna and Zen HR progressed amidst a hilarious commentary going on in the pavilion by the Ma Foi team. The Wisecracks which were called the 'Commentary'! They had the audience in splits with their bilingual and at times trilingual observations (the third language being unintelligible). 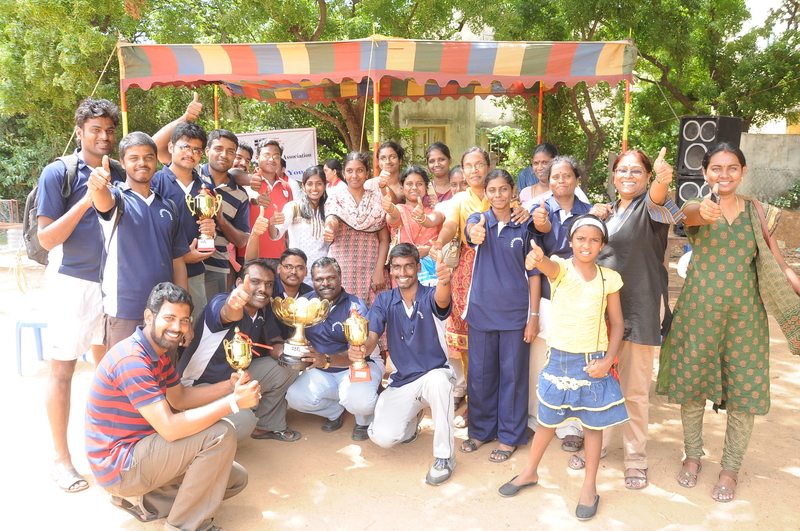 Sampoorna managed to win the Cricket finals squashing the Zen HR team with panache. The Chief Guest, none other than the Regional Director of Nasscom, Mr. Purushothaman, made his appearance a few minutes before the Guest of Honor, Mr. Jagadish from News Today. The guests were visibly thrilled to have been just in time to witness the Relay races for both men and women. The relay for women was comfortably won by Covenant, followed by Axis HR. Ascenders, with a lot of effort made it to the finish line in the third position. In the men’s relay race, Covenant took the first place amidst a lot of fanfare. The Valedictory and Awards ceremony took place quickly after the events. 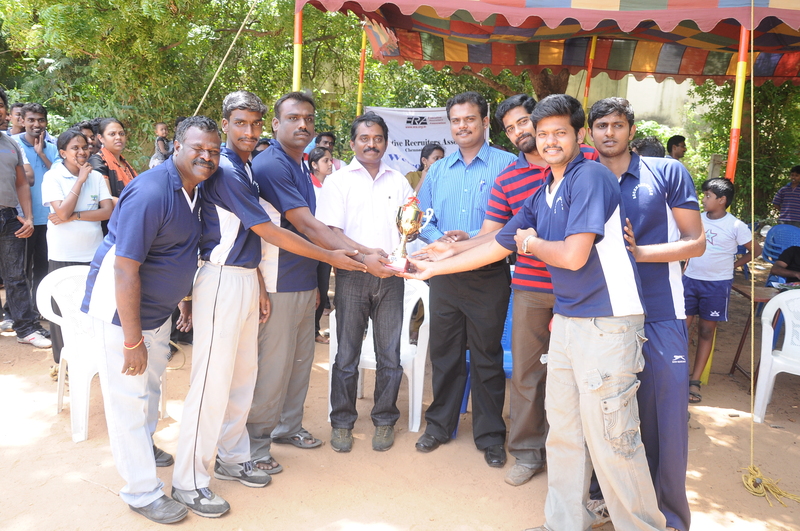 The guests did the honors very graciously and there was a lot of cheering as Teams vied for their hard earned cups. 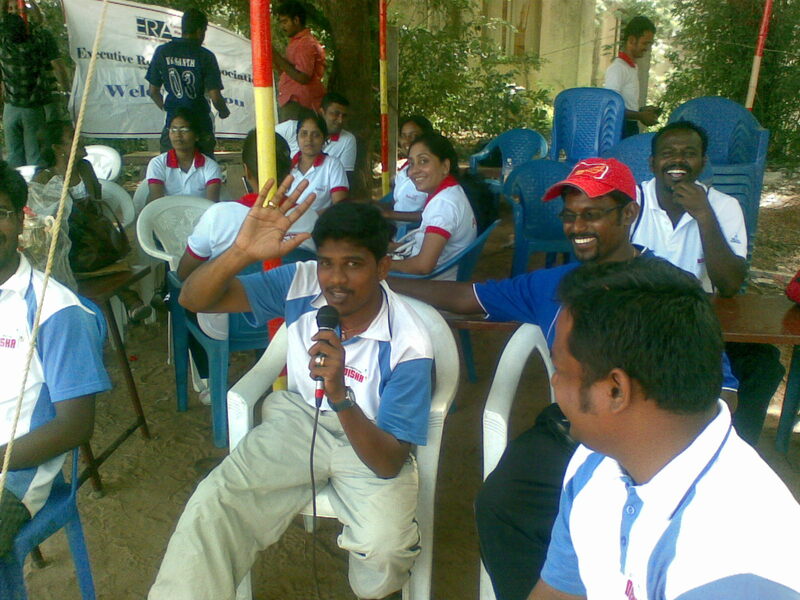 All the events were announced and the Winners and Runners Cups were distributed. There was continuous thundering applause and cheering as teams clambered for their awards. The kids’ certificates were also distributed. Because of the low turnout of the children, the certificates were grouped according to the Companies and distributed. In the midst of all this, a very memorable activity was conducted purely on the initiative of our beloved CEO, who is also the ERA Chennai Chapter’s Convenor this year. 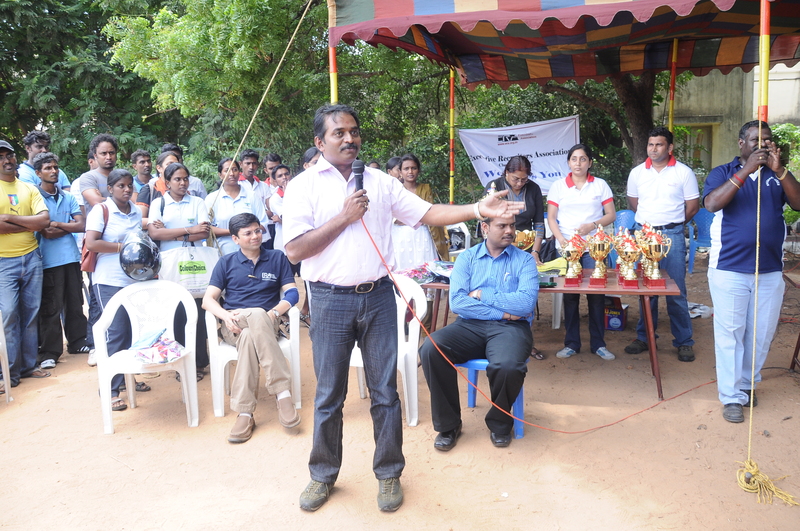 He announced an auction of all the sports goods and materials purchased for this year’s Sports Meet. 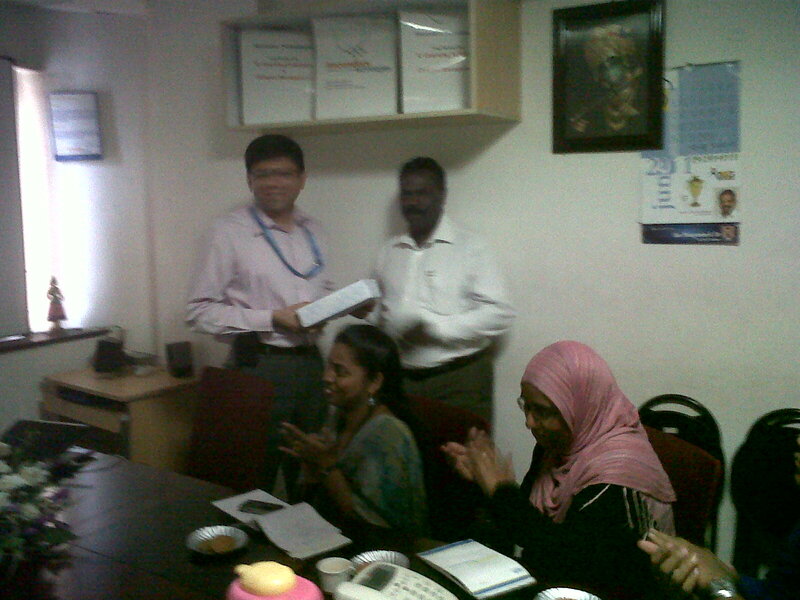 And he also announced that the proceeds of the auction would be donated to the Cancer Society, Chennai. All the companies present very generously bought the goods and there was a lot of good humored competition during the bidding. CEOs outdid themselves and the figure arrived at after the things were auctioned amounted to a neat Thirty Five thousand. A desperate attempt to bid...but foiled! 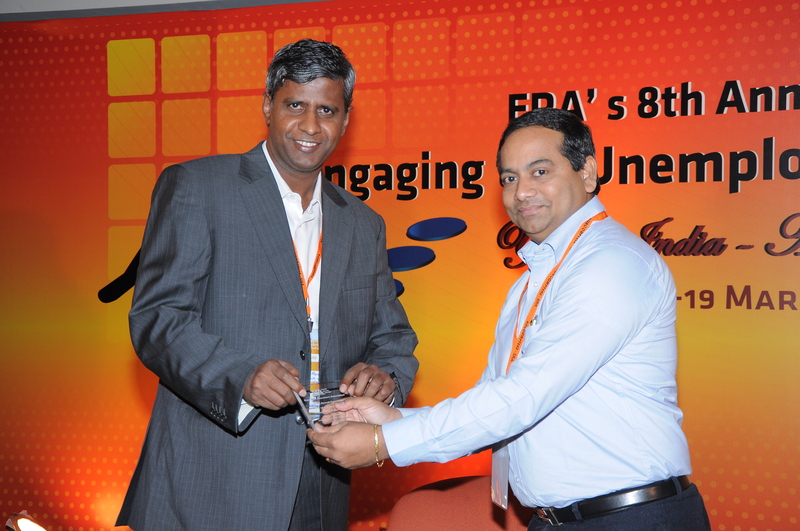 The Chairman of ERA, Mr. Veerendra P. Mathur, also the MD of Future Focus very generously rounded off the figure to a cool fifty grand and as a parting gift, Mr. Purushothaman added a thousand finally making the amount a whopping Fifty One grand. The Core Team got well deserved recognition in the form of beautifully engraved plaques. 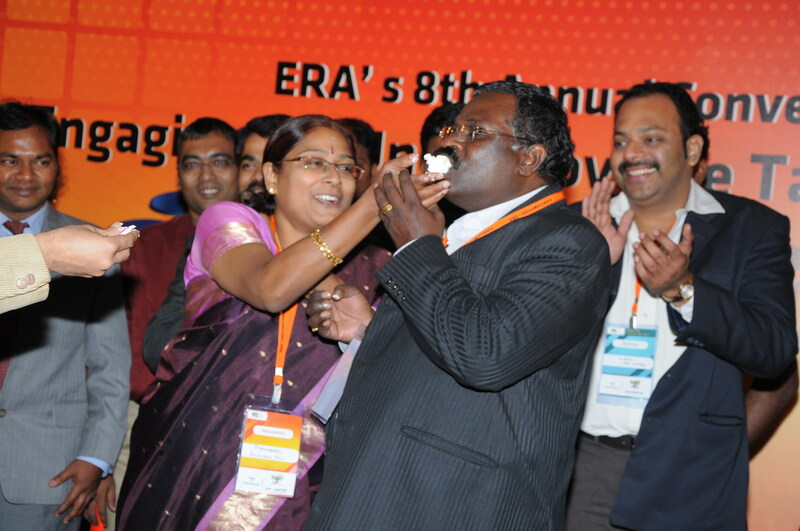 The CEOs were in turn honored for their commitment to the ERA Chennai Chapter by “Going the Extra Mile’! 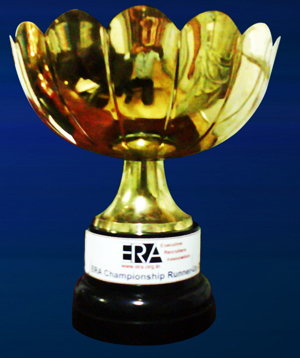 Finally, the much awaited event, that is, the announcement of the Winners and Runners for the Championship Trophy took place even as the entire audience listened with bated breath. Covenant was declared the undisputed Winner of the Championship Trophy while Ascenders bagged the Runners up Trophy! 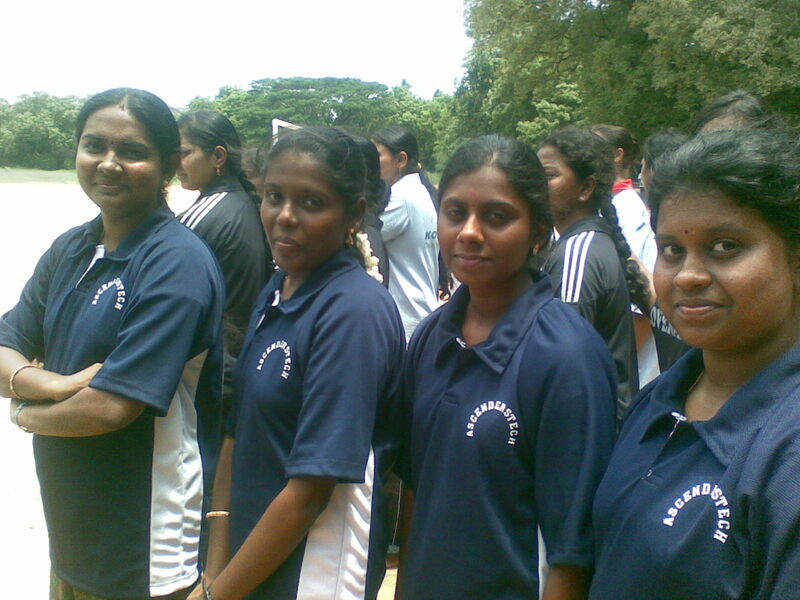 On the whole the entire ERA Chennai Sports Meet 2010 was a furious flurry of activity, games and sports. The Companies were undaunted by the rains and happily took part in the suddenly planned and executed extension of the meet the following Sunday. All companies, with the true spirit and sense of sports and competition, jumped into the ERA bandwagon to make the occasion happy and memorable. A real spirit of charity was also displayed liberally. After the entire event was over, teams trudged back home exhausted and content that they had given their very best. 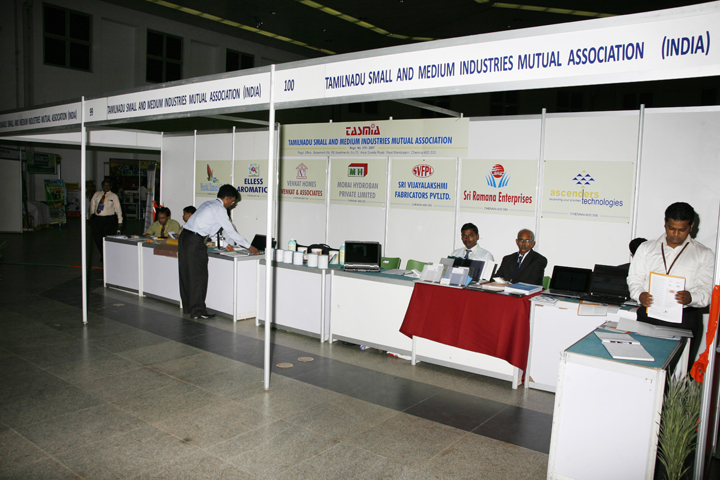 Ascenders Technologies participated in the INTRAD – EXPO 2010 International Trade Fair & Investment Forum from 7-9 May at the BMICH, Colombo. 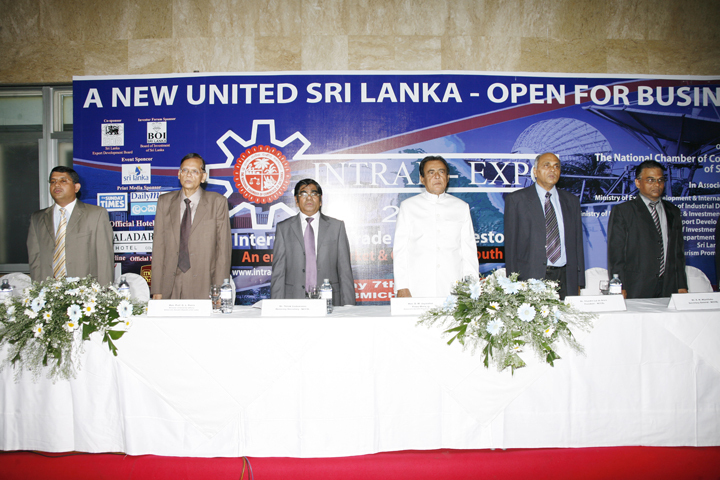 The INTRAD –EXPO 2010 was held by The National Chamber of Commerce of Sri Lanka (NCCSL) in association with the Ministry of Export Development & Investment Promotion, Sri Lanka Export Development Board, Board of Investment of Sri Lanka and the Department of Commerce and Sri Lanka Tea Board. The AscendersTech stall was inaugurated by none other than the Hon. 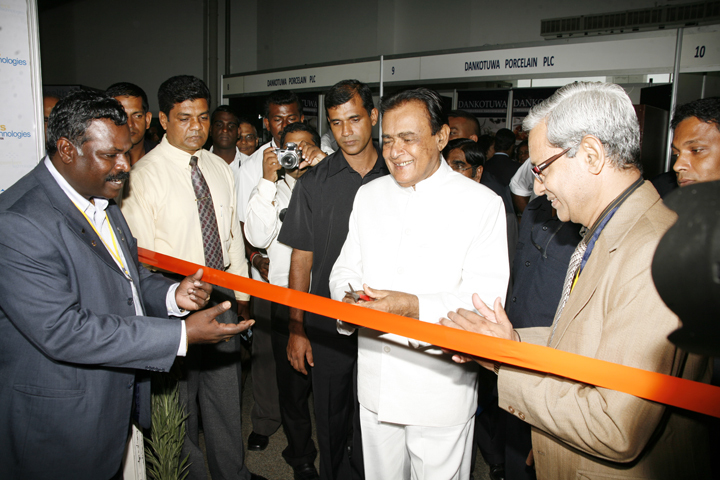 Prime Minister of Sri Lanka Mr. D.M. Jayaratna. 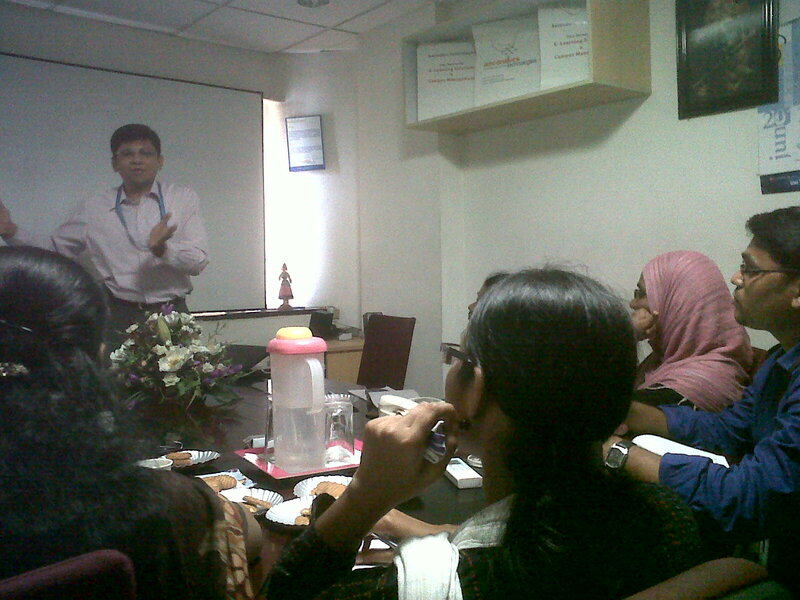 The Ascenders Line of Interest expressed in the event was ERP Applications, E-Learning and HRMS products. Therefore Ascenders Technologies showcased its products and services highlighting Microsoft Dynamics Axapta 2009, Adrenalin HRMS tool and our very own eLearning portal English Interface. 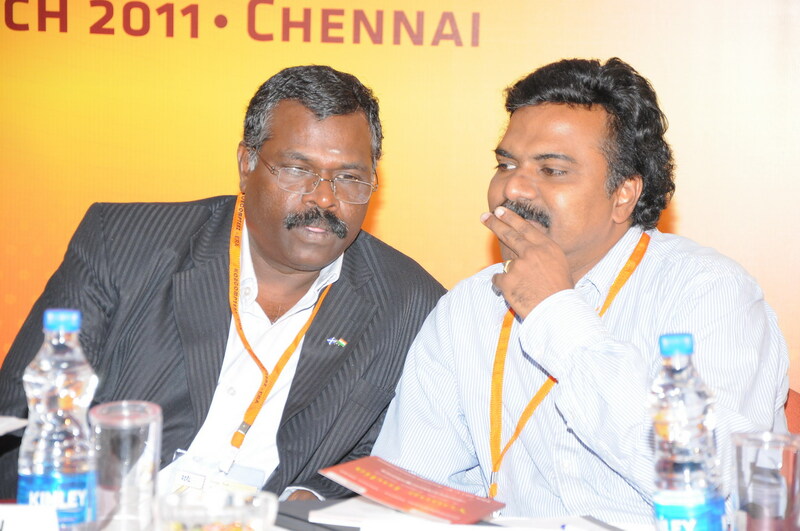 Our CEO Dr. Thiru and our Practice Head for Microsoft Technologies, the efficient Mr. Abel Johnny held the fort at the INTRAD-EXPO 2010. 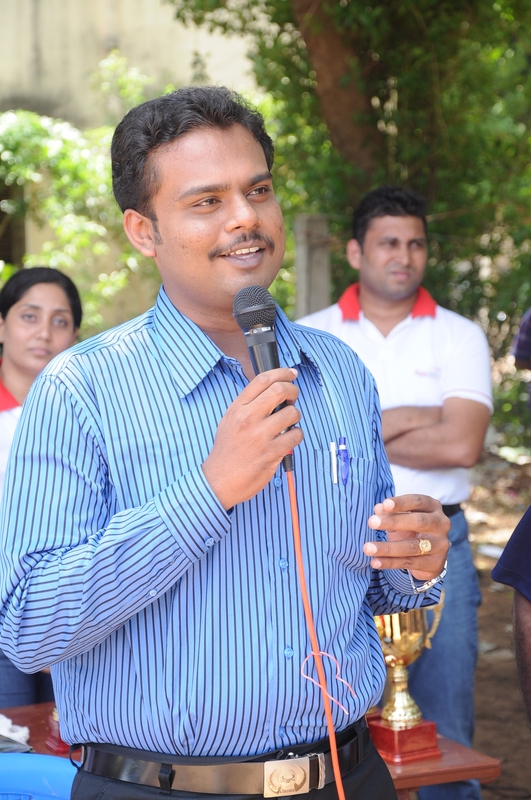 Being a preferred partner of Adrenalin, we had the tremendous support of Adrenalin in the form of Mr. Venkatachalam, the Sales Head of Adrenalin.